Over 100 delicious vegan dishes designed to suit every taste. Special juices for cleansing, digestion and healing. 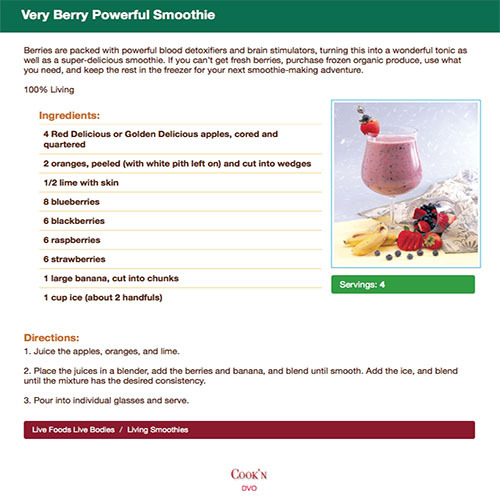 Helpful tips for juicing a wide variety of fruits and veggies. After selling close to one billion dollars in juicers and writing a number-one New York Times bestseller, Jay Kordich—known worldwide as The Juice Man—realized that juicers were just the first step in teaching people about vital foods and energetic living. So many people now find themselves overweight, addicted to harmful foods, and unhappy with their lives. But Jay knows that a wholesome, satisfying life is within your reach—if you learn the secrets to good health. In this new book, Jay Kordich and his wife, Linda, reveal all their personal secrets, including juice therapy, living foods, and positive thinking. 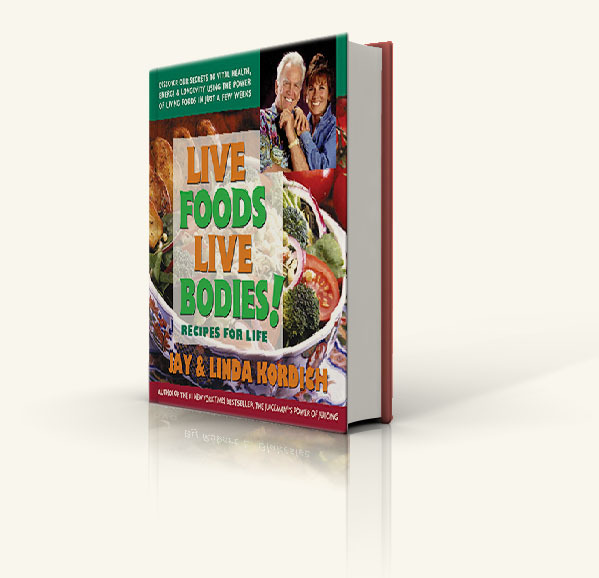 Live Foods, Live Bodies! was designed to help you transform the person you are into the person you want to become. This book is divided into two parts. Part One explores the power of the living enzymes found in fruits, vegetables, and especially greens—chlorella, green barley, wheatgrass, and more. It explains the many benefits of becoming a vegetarian, and it presents the dos and don’ts of fresh juices—the very subject that propelled Jay to fame. Part Two puts it all together by laying out what’s needed in the living kitchen; offering recipes for fantastic salads, dressings, meals, and drinks; and providing simple yet effective tips for using your new skills to create a better, more fulfilling lifestyle. Whether you are in your forties, in your fifties, or in your nineties, you can live healthier and happier, with increased vitality. With Jay and Linda as your teachers, you will discover a new world of great tastes and long-lasting health. Creating Your Own Super Green Salads *Pyramid?? Our Natural Food Pyramid* Picture??? Your Body's Enzyme "Bank Account"
Your Life Can Change-Are you Ready?